Macaroni seems like the quintessential crafting material for young children. There is so much you can do with it. It’s super cheap and you likely have a reaaaallly old package of pasta sitting around in the back of your cupboard somewhere that will likely never get boiled. I found about 5 boxes of crazy old pasta deep in a cabinet at work (I’m a reggio inspired art teacher), and thought here we go. Right next to the pasta bags were a box of old records. Even better! Macaroni Challenge – Game On. We are inviting YOU, yes YOU, to join us in making anything you can think of either with your little ones or on your own with macaroni. 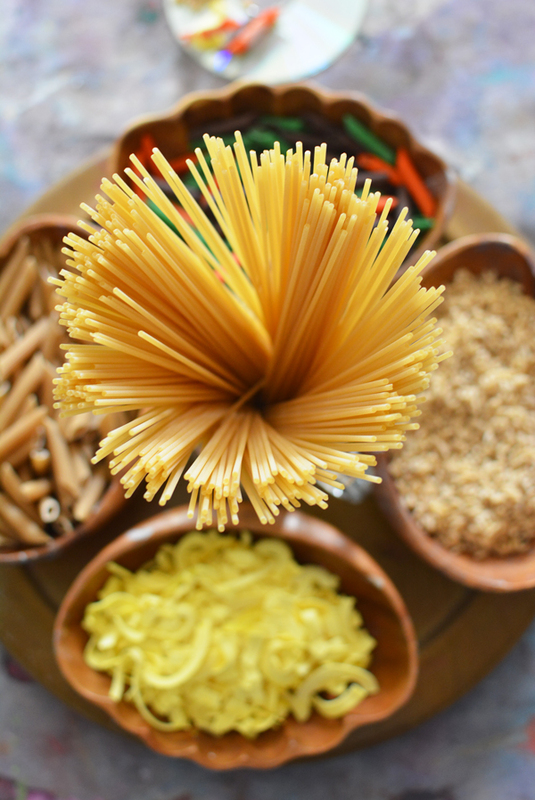 “Macaroni” encompasses all types of pasta and anything goes as far as what you create. 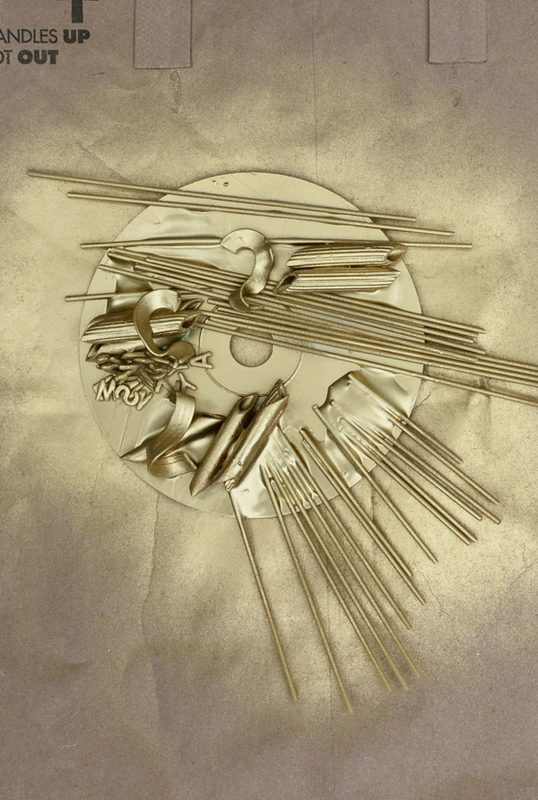 It can be a necklace, a sculpture, a pasta hut, anything! 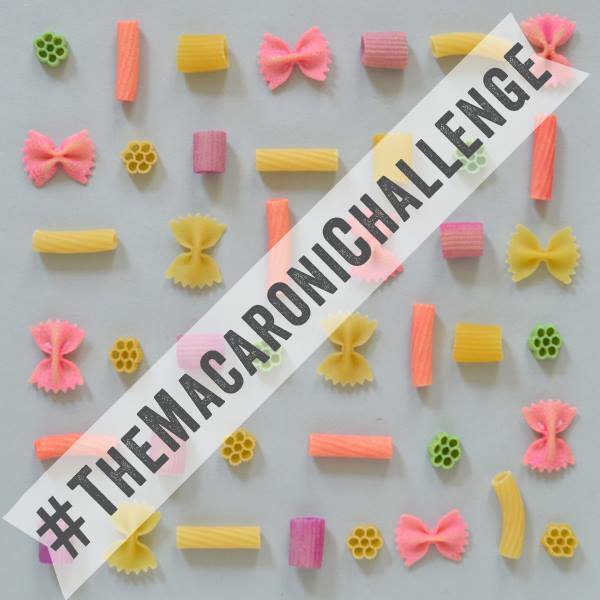 Just post on the RAM Facebook page, instagram or twitter and hashtag #themacaronichallenge. Why should you partake in #themacaraonichallenge you ask? 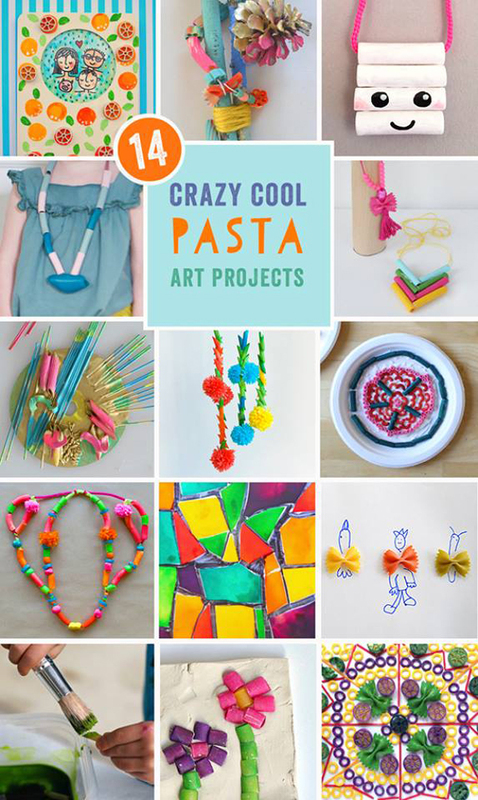 We made crazy cool pasta sculptures to kick off the macaroni challenge from a tinkering tray that the kids just loved. Do you have a lazy susan ? I’ve found they work really well in the art studio. 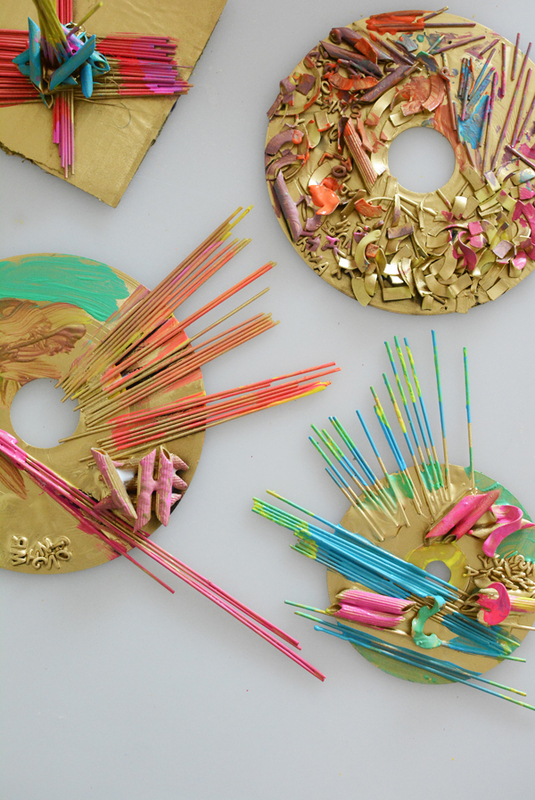 Kid’s love to spin them around and choose their materials. I filled one with all the found pasta and it looked so pretty and inviting. 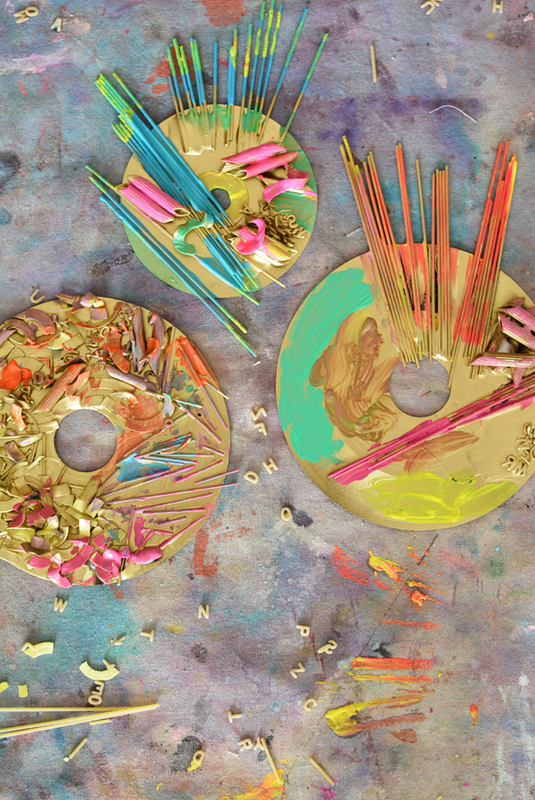 Then I layed out all the records and cd’s we found alongside the pasta tray and set up some glue in bowls with paint brushes. If you don’t have any old records or cds, you can cut up a piece of cardboard for the art sculpture base and it will work just as well. We’ve been talking a lot about sculpture in the art studio, so these pasta sculptures were a great extension of our conversations. 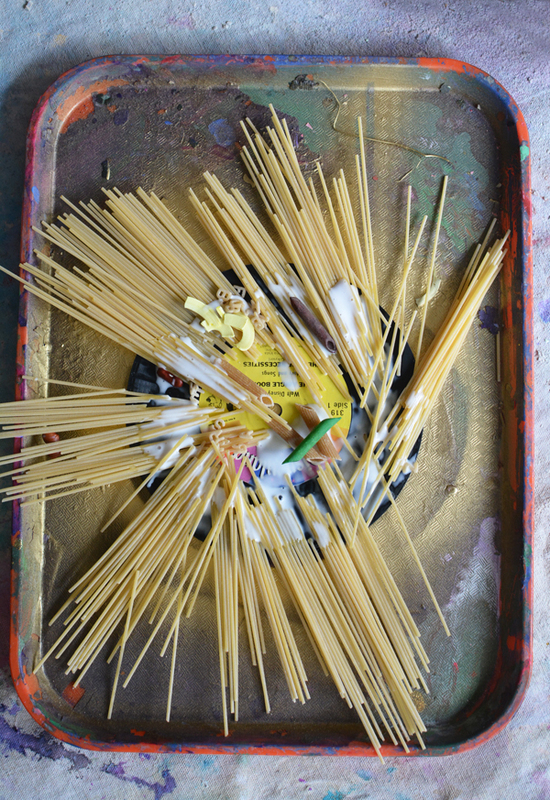 The kids were encouraged to choose pasta that interested them and use it in an interesting way to create their own sculpture. This one was particularly exciting. It’s a sculpture of “a sunflower,” by a 4 year old. We also saw “pizza sculptures,” and a few funny faces. I think they all came out kind of punk rock. 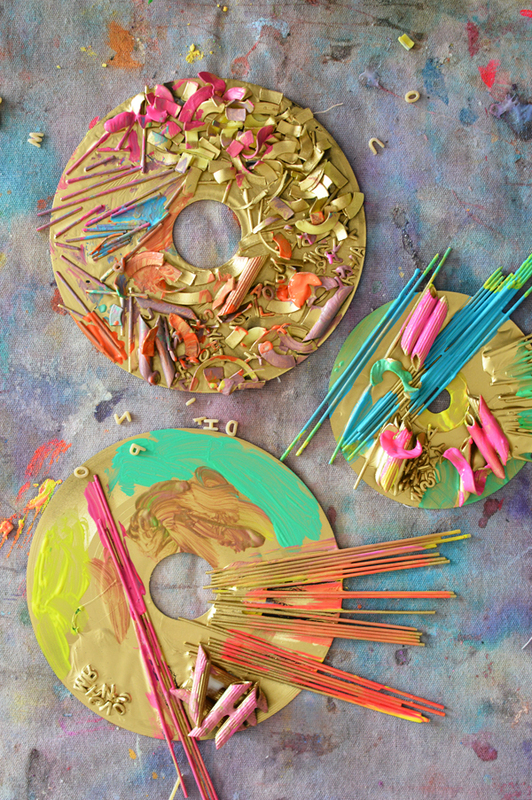 Once the glue dried, we decided to spray paint the sculptures gold and use the neon paints we had left over from our neon lamp shades to paint them. The results were pretty outstanding. Right now they are pinned up to a bulletin board in our studio. 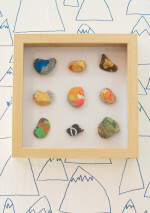 I’d love to figure out an inexpensive way to put each one in a shadow box. We may have to make our own. They’d look so cool and special I think. So, that’s how we are kicking off the macaroni challenge this week. There are tons of other RAMS participating in this amazing challenge. You have to click over to their posts for inspiration. Ilove everything about this. 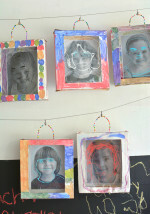 This is really a project that kids would truly make but you’ve given them such a fun design feeling! Love them. You are so clever! 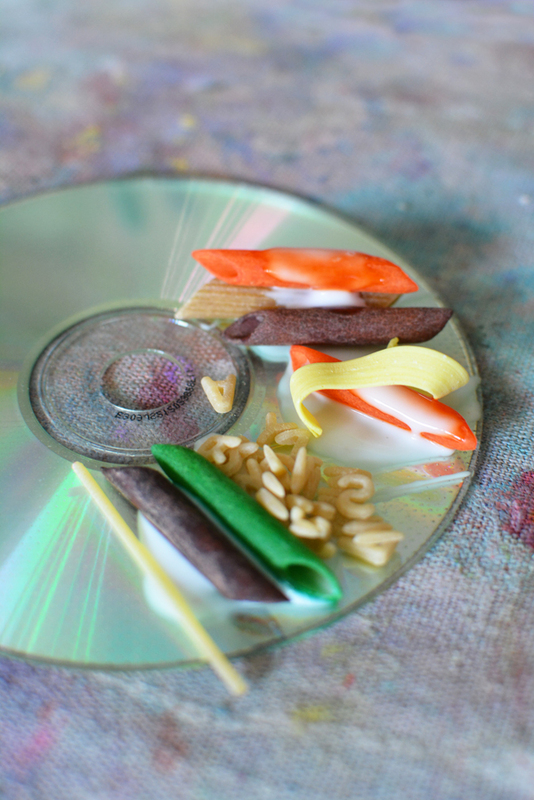 I love the fact you found a use , not only of old pasta, but of the old cds as well. Beautiful! THank you Karin! We are having so much fun with these. They keep evolving! These are so cool! I love everything about them! Thanks Ana! Go #themacaronichallenge !!! 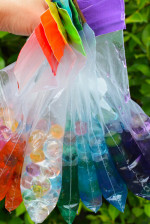 hey meri cherry, just wanted to let you know that I’m following your blog for maybe two months now and you got me into thinking differently about being arty and creative with my little preschooler. Thanks to you, I broadened the spectrum from painting with crayons (something he doesn’t like tooo much) to playing with colors (his favorite thing are liquid watercolors). It is so much fun to watch him do this more process oriented art, which I enjoy doing myself, too. Thank you for so much possibilities from Germany. Oh I bet the kids were mad for the gold spray paint! 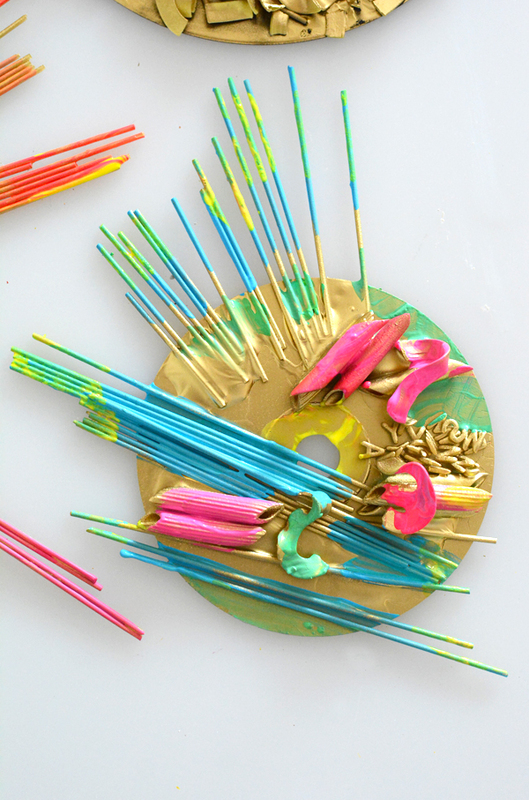 Such a great combo with the pasta and fluro paint! Thanks Kate!! Kids love gold anything! MrsCherry!! These are outstanding!! 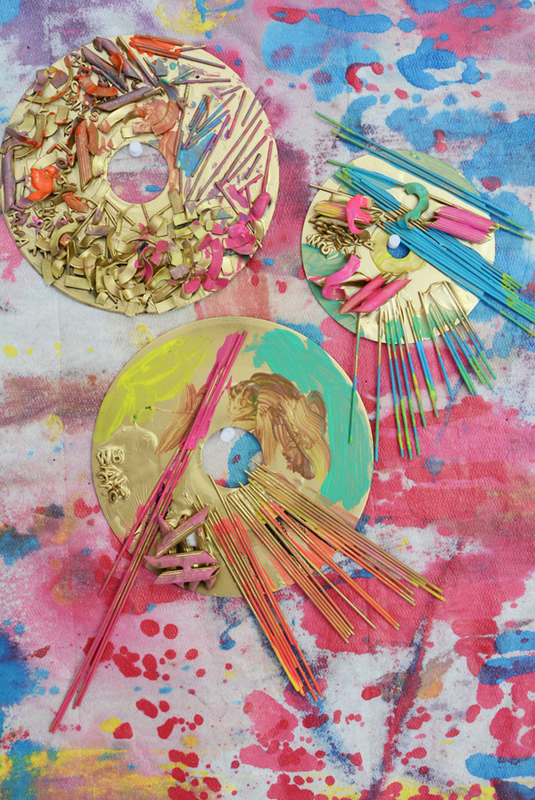 I am heading out to buy a bunch more pastas (& maybe paint too) to make some MORE pasta art! This is by far thee most inspirational and brilliant collab projects you all have done together thus far!!! You & the Rockin Art Moms really do rock. Thank you for the project plans for the weekend. Thank you Jeanine! Your comments always make me feel good. Thanks for taking the time to write! Hope you had fun this weekend. Would love to see some pics! 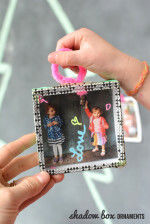 Love this idea, simple, creative and lots of fun! Posted it on our Pinterest page. Great! Thank you so much! It’s really fun.